Mercedes Benz oozes class. They are a joy to own and even more fun to drive no matter if you have an A class, M class, or E class. To keep them running like new, they should be serviced by a professional automotive technician. Mercedes Benz service and repair should be done at their scheduled time. All cars on the market have a specific time you must have service done, sometimes called scheduled maintenance. One of the key items you maybe know about is a tune-up. But what is involved with getting a tune up on a Mercedes Benz, and where should you take your car to have one done? 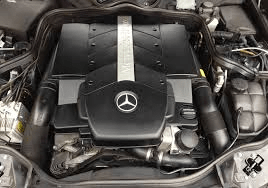 What’s Involved in a Mercedes Benz Tune Up? The tune-up itself consists of changing the spark plugs, wires, rotor. The distributor cap will be looked at and replaced if necessary. Your technician may or may not look at the timing of your vehicle and make adjustments if needed. The electronic management system of a Mercedes will be looked over to ensure everything is working correctly. Fuel injectors will also be cleaned during a tune-up as well. The result of having a tune-up is to maintain smooth idle, proper function, and performance. Any additional problems you may have had since your last servicing or routine maintenance can be addressed during a tune-up too. While you may have thought that a tune up is as simple as changing the spark plugs and wires, you can see that a Mercedes Benz tune-up from a specialty automotive shop will consist of more. Where Should You have a Tune-Up Performed? It’s essential to choose an automotive shop that handles Mercedes Benz repair and services explicitly. A general repair shop more than likely will not be equipped with the specialized tools and equipment needed to perform the tasks as they should be. The last thing any Mercedes Benz owner wants is repair and maintenance not being done correctly. Ryan GMW is proud to service all classes of Mercedes Benz for the Auburn, CA and surrounding areas.